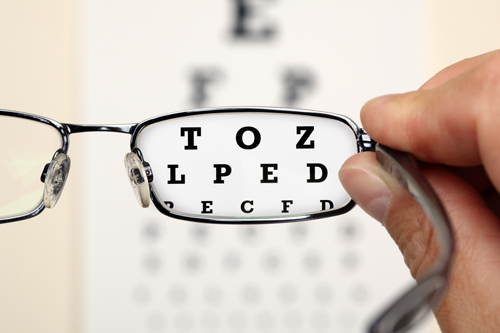 A comprehensive eye exam involves much more than reading letters on a chart. It is a complete vision and eye health evaluation designed to resolve ongoing issues and protect you from future problems. You may not have obvious early symptoms of potential eye and vision problems since many eye diseases are asymptomatic. For example, conditions like glaucoma and macular degeneration may not be overtly detectable in the beginning stages. But they can result in serious vision loss if not treated. Our practice sees patients of all ages, suggesting routine care to begin at age 3. Studies have shown 1 in 5 preschoolers have vision problems. 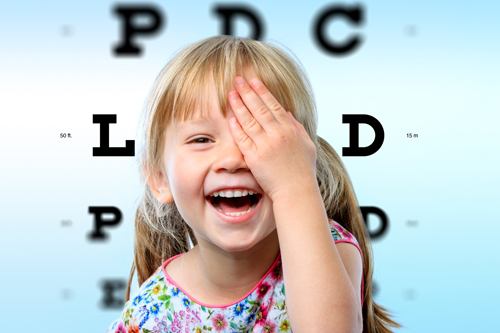 When examining young children, our doctors look for proper vision development so children are ready for school. Adults are more susceptible to near vision trouble and are at risk for certain conditions, such as cataracts and glaucoma. We encourage our patients to have a dilated eye examination annually, regardless of age. Vision is an extremely important part of everyday living, and examination is a small preventative measure to take to ensure quality of life. Our ophthalmologists and optometrists perform tests to assess your ability to focus on and discern objects. We want to maximize your vision but also screen for abnormalities that may cause immediate or future problems. To achieve this, our doctors encourage annual dilated eye examinations. In addition to regular checkups, we recommend a diet high in antioxidants. Supporting a good diet with supplements such as lutein, zeaxanthin, and other key nutrients targeted to macular health is also helpful. Wearing sunglasses that provide 100% UV protection are also helpful in protecting long-term eye health. Why Do I Need to Be Dilated? By using eye drops to widen your pupils, our doctors can better evaluate the optic nerve, macula and retina. Analyzing these structures helps diagnose issues such as retinal tears or detachments, age-related macular degeneration, and glaucoma. Dilation typically lasts for around 4 to 6 hours – a small inconvenience for a thorough eye health check. Visual Acuity – Measures the clarity of your vision by reading from a letter chart. A normal-sighted person can see 20/20 at distance and near. Auto-Refraction – A quick test which provides an estimation of your prescription. The technician typically runs this test prior to your examination. Pupil Assessment – Shows the neurological function of the afferent (up to brain) and efferent (from the brain) system. If there is a disruption in either, additional testing may be needed. Ocular Motility – Checks for weaknesses with eye movement or coordination. While following a target, we evaluate if your eyes move smoothly and fully. Refraction – Determines a patient’s refractive error, such as nearsightedness, farsightedness and/or astigmatism. This is test that gives doctor the information needed to provide a prescription for glasses. Tonometry – An important number for your doctor to know. It helps determines your risk for glaucoma. Tonometry measures or estimates your internal eye pressure. Pupil Dilation – Certain eye drops are used to enlarge pupils to obtain a better view of the internal eye. Biomicroscopy – A slit lamp or mounted microscope system is used to aid us in inspecting the front surface and inside of the eye. Sometimes we will utilize different filters in order to best view a particular structure. Ophthalmoscopy – Evaluates the retina and optic nerve with special lenses. These lenses may by used in conjunction with a biomicroscope or an binocular indirect ophthalmoscope, a head set allowing a free-space viewing of the peripheral retina. Retinoscopy – An instrument used to check the refractive status of the eye. This is typically utilized on non-verbal patients or young children. Stereopsis – Tested using Polaroid (3D) glasses and a special booklet, this is the ability to use both eyes to create fine depth perception. Cover test – Primary test used to discover strabismus (eye turn). Your eyes are covered or uncovered while you focus on a near or far target. Your doctor is evaluating your eye position and its response to the disruption of fusion. Visual Field Test – Confrontational visual field test performed during regular examination. If this test determines defects, a full visual field test may be needed. This test measures your sensitivity to a light stimulus in different parts of your vision. If sensitivity is decreased or zero, there is a defect in your field of vision. Color Vision Screening – Special book containing different patterned dots on pseudoisochromatic plates typically used to identify a color vision deficiency. Most color vision issues involve inherited red-green color deficiencies. But one can acquire a problem through certain diseases. As a child, our eyes work toward emmetropization…light rays perfectly focused on the retina. It takes coordinated changes in the cornea, lens, and eyeball length for this to happen. Refractive error occurs when light rays do not focus in the proper manner. Main issues that present during a comprehensive eye examination are: myopia (nearsightedness), hyperopia (farsightedness), astigmatism, and presbyopia. All of these conditions are usually correctable by glasses, contact lenses or, sometimes, laser vision correction. Myopia is also known as nearsightedness. It occurs when the light rays entering the eye focus in front of the retina. Distance objects are blurry but near vision is still strong. Patients with myopia usually need glasses for distance since the eyes cannot adjust on their own. Hyperopia, also known as farsightedness, arises from light rays entering the eye focus behind the retina. Near objects are unclear. If there is a great amount of hyperopia, distance vision may be fuzzy as well. Most patients with small amounts of hyperopia will not require corrective eyewear until later in life (usually in 40s, 50s). Astigmatism occurs when light entering the eye splits into two separate points. Most patients have only a small amount of astigmatism that does not significantly impact their vision. 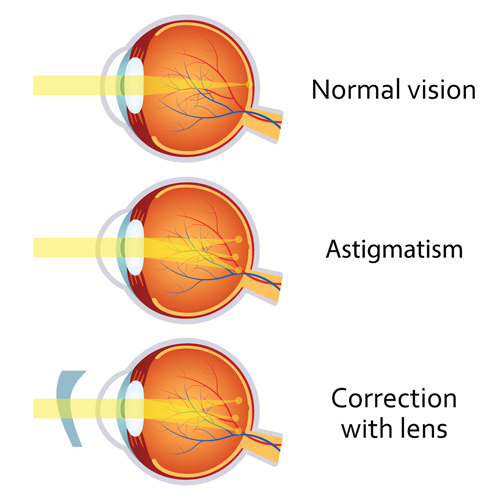 If there is a large degree of astigmatism, the split rays can lead to blurry or distorted vision at all ranges. Patients frequently report that letters appear shadowy when astigmatism is uncorrected. As we age, our eyes gradually lose their ability to focus on nearby objects, called Presbyopia. This becomes noticeable among people in their early to mid-40s and worsens over time. Typically, vision is blurry at a normal reading distance, and people have to hold reading material further away to clearly see. For some, the ability to see clearly at different distances or when changing focus from near to far objects occurs. Heart of America Eye Care doctors and staff hope to see you soon for your complete eye evaluation.